A meditation on power and responsibility packs more punch than super-hero action. There’s a fascinating common thread between Black Panther and last year’s Wonder Woman—and not just in the sense that they were game-changers in a comic-book blockbuster landscape dominated by a certain racial and gender demographic. Wonder Woman hailed from the island of Themiscyra, a civilization invisible to the outside world thanks to a magical force field; Black Panther rules Wakanda, a civilization invisible to the outside world thanks to a technological force field. If you didn’t know any better, you’d swear that the only way for someone besides a white guy to be powerful is to remain non-threateningly hidden away from the rest of the world. In 2018 America, it’s impossible for a movie like Black Panther to arrive and not be freighted with significance beyond its actual storyline. From early reports of record-breaking ticket pre-sales to Facebook campaigns to drive down the movie’s Rotten Tomatoes score, Black Panther has had the feel of a great cultural happening, which isn’t particularly fair to anyone involved. But to co-writer/director Ryan Coogler’s credit, he ran toward that sense of responsibility rather than away from it. There’s a rich and thought-provoking narrative simmering throughout Black Panther, and it’s possible that the only thing wrong with it is that this narrative is stuck with the formulaic components of the Marvel Cinematic Universe. With some of the back-story already out of the way thanks to the protagonist’s introduction in Captain America: Civil War, we get to dive into Wakandan prince T’Challa (Chadwick Boseman) assuming the throne in the wake of his father’s death. 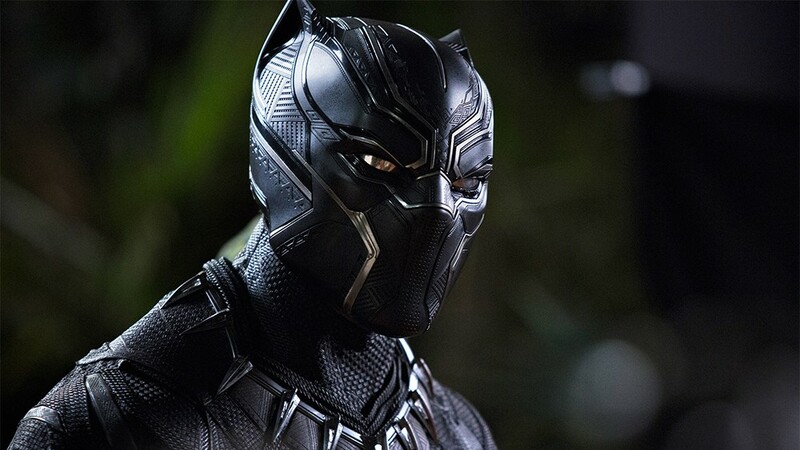 But naturally, a threat immediately appears on the horizon, as Wakandan vibranium—the super-strong metal that has made possible the country’s super-advanced technology—has appeared on the black market thanks to the criminal Ulysses Klaue (Andy Serkis). And assisting Klaue is a man called Erik Killmonger (Michael B. Jordan), who has a mysterious connection to Wakanda. Coogler takes his time with his world-building, and it’s here that he carves out a unique space for his movie. Wakanda’s rituals and traditions are explored in detail beyond the futuristic skyline, in ways that—by comparison—never quite came together with Thor’s Asgard. And it’s a world that gives as much power to its women as to its men, whether it’s T’Challa’s warrior/bodyguard Okoye (Danai Gurira), his former romantic interest and current spy Nakia (Lupita Nyong’o), or T’Challa’s researcher sister Shuri (Letitia Wright), who serves as Q to his James Bond. The real energy here, though, comes from Jordan’s Killmonger, and while it’s damning with faint praise to call him the best villain the MCU has yet produced, he turns Black Panther into a tangled meditation on power and responsibility. The fact that this idea is wrapped up in race and colonialism is bound to make it messier, but Coogler never seems shy about wrestling with that messiness. The best villains have always been those who are, in their own minds, the hero of the story, and Black Panther plays uncomfortably fair with the idea that T’Challa’s isolationism isn’t any more self-evidently right than Killmonger’s radicalism. It’s certainly possible for genre fare to dig into philosophical or thematic complexity and still deliver the goods as entertainment; it’s just not clear that Coogler pulls that off here. The action rarely takes off in memorable ways, and while the fight scenes break things up in all the appropriate places, they feel more dutiful than inspired. By the time we hit the climactic battle—which cuts with reasonable dexterity between three arenas, but manages to include, yes, the nigh-obligatory quest to blow up a dangerous flying ship—physical conflict might be a manifestation of ideological battles, but it’s also a distraction from them. Yet maybe that’s a backhanded form of praise: Black Panther is a movie that might think too big to be contained by the package in which it’s being delivered. After the MCU-standard mid-credits sequence, delivering an urgent and vital statement about what it means to use power for good, it’s clear that Coogler has no interest at all in hiding his heroes from the real world.